It’s time to introduce the next design in Sew Hometown, the Flutter block. This simple block is fun to make and very versatile. Even though the Flutter block is a quick sew, it will require some additional pre work before sitting at your machine. Each square will need to be sub cut to size. In the video, I share a few tips to ensure accuracy when sub cutting your triangles. During assembly, it is important not to stretch the bias grain and press as you work. To make each Flutter block unique, I mixed up the pattern placement and color within each block. Subtle changes in color placement will help guide your eye along your finished quilt. 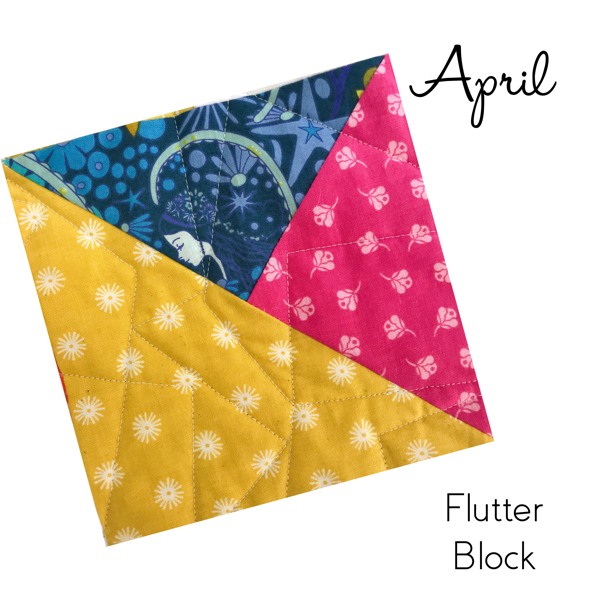 You will need to make 5 Flutter blocks to complete the Sew Hometown quilt top. Come sew with us all year long! Sew Hometown is a great pattern for new and experienced quilters. We love the added challenge of using our scraps in a fun project. Learn more about the Sew Hometown pattern here. Then be sure to check back each month for a quick video lesson to go along with the written instructions in the pattern. You can find all previous Sew Hometown lessons here. 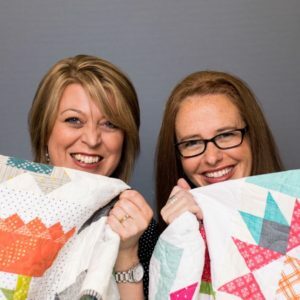 Amy Ellis & Heather Valentine are fabric lovers that savor every scrap in order to make the most of our stash. Together we hope to give you the same sense of satisfaction we find at the sewing machine, whether you have 10 minutes or an hour to devote to your quilt. Love making quilts? Join our newsletter, where we share pictures and patterns of our latests blocks.